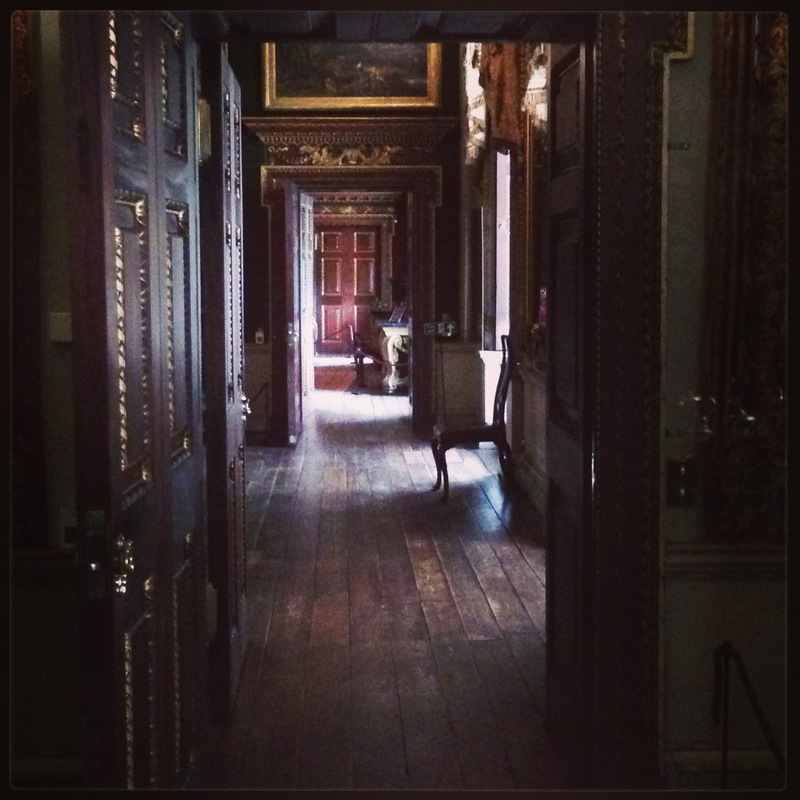 Never drop in on anyone unannounced, unless, of course, you happen to be visiting Houghton Hall in Norfolk on a Monday or Tuesday. Earlier this summer I had to postpone my visit for reasons I will not bore you with. I made the silly mistake of assuming there would not be a problem rescheduling a visit on Monday, September 23rd. My reason for venturing up to Norfolk with my friend C, was to visit Houghton Revisited, an exhibition of the magnificent art collection of Britain’s first Prime Minister, Sir Robert Walpole. The collection, which includes paintings by Poussin, Rubens, Van Dyck, Rembrandt, Murillo and Velasquez, was sold to Catherine the Great to adorn the Hermitage in St. Petersburg. It is the first time in 200 years that it has been reassembled in its spectacular original setting. Fortunately my very resourceful taxi driver was not put off by the gates being closed. It was at this point he said to me “I am afraid Houghton is not open to the public on Mondays and Tuesdays, madam, but let’s try the side entrance. Sometimes there are private tours that go in that way”. The taxi driver was cautiously optimistic indicating there was another series of checkpoints we would have to negotiate . The drive we took leading up to Houghton Hall was splendid. Deer to the left and right, rolling hills and manicured lawns. No coaches in the car park, no tourists milling about. Just a few gardeners on tractors, and us in the taxi making our way to the entrance of the house. The taxi stopped in front of a large door. What else could I do but ring the bell? To my complete surprise, a man opened the door looking a bit perplexed and said “Can I help you”? “Yes, I hope you can” I answered, launching into my boring story about why I was there and could he please make an exception. After a bit of hemming and hawing he reluctantly agreed! “Well, alright. 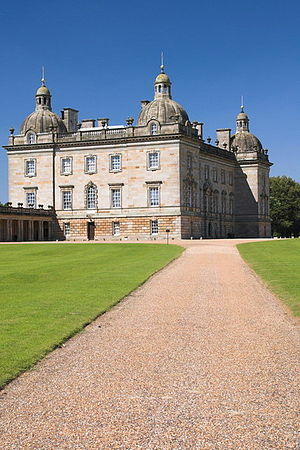 Normally the house (notice the use of the word house and not Houghton Hall ) is cleaned on Mondays and Tuesdays. Please, follow me”! I started to put two and two together. The man I was following up the stairs (below) was none other than David George Philip Cholmondeley, 7th Marquess of Cholmondeley. The Grand Staircase designed by William Kent and made entirely of solid mahogany. 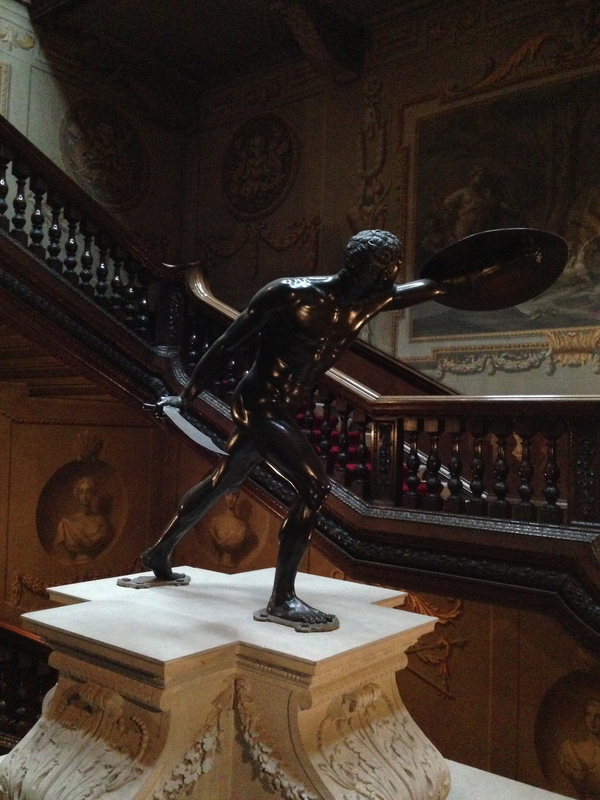 The first landing of the staircase opened on the grandest of halls, The Stone Hall, William Kent’s masterpiece executed in the collaboration with the sculptor Michael Rysbrack. “Please pull the shades down when you leave, and shut the door behind you when you have finished viewing the exhibition”! C and I looked at each other and could not believe what had just transpired! In effect we were the only 2 people viewing each room and the entire collection. A very posh version of Home Alone. Each of the 11 rooms is breathtaking filled with priceless art, decorative objects, furniture and textiles. 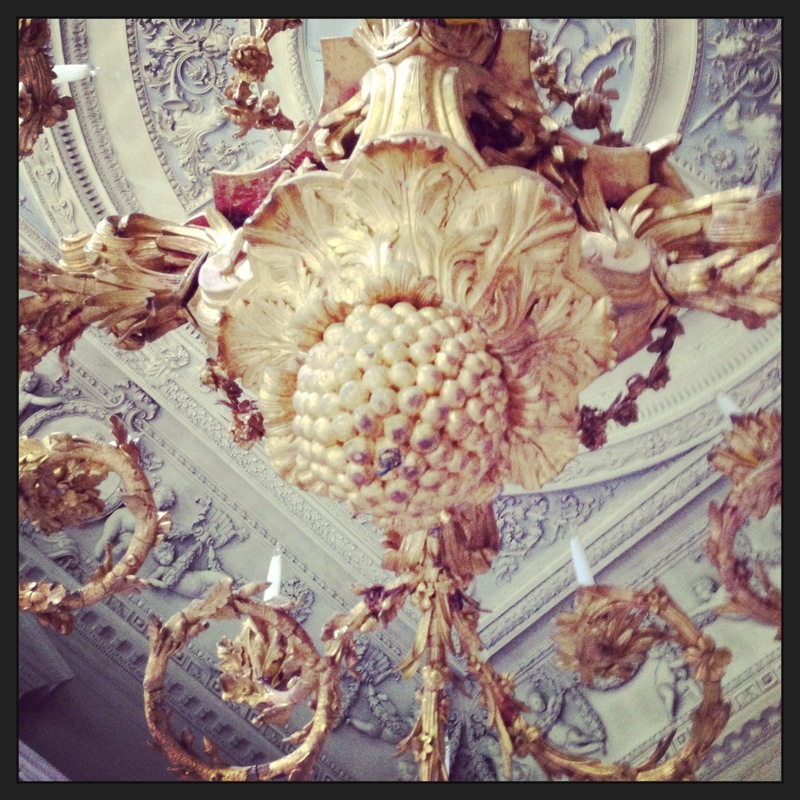 The generosity of royal patrons, sponsors and benefactors has made the restoration of many rooms possible. From room to room we walked, admiring everything on the walls, on the beds, in the cabinets, on the library shelves. Beautiful leather-bound books on shelves that seemed to never end. Imari porcelain displayed in an alcove made entirely of marble. Tables set, as if someone was expected for supper. It was sumptuous, it was regal, it was beautiful. 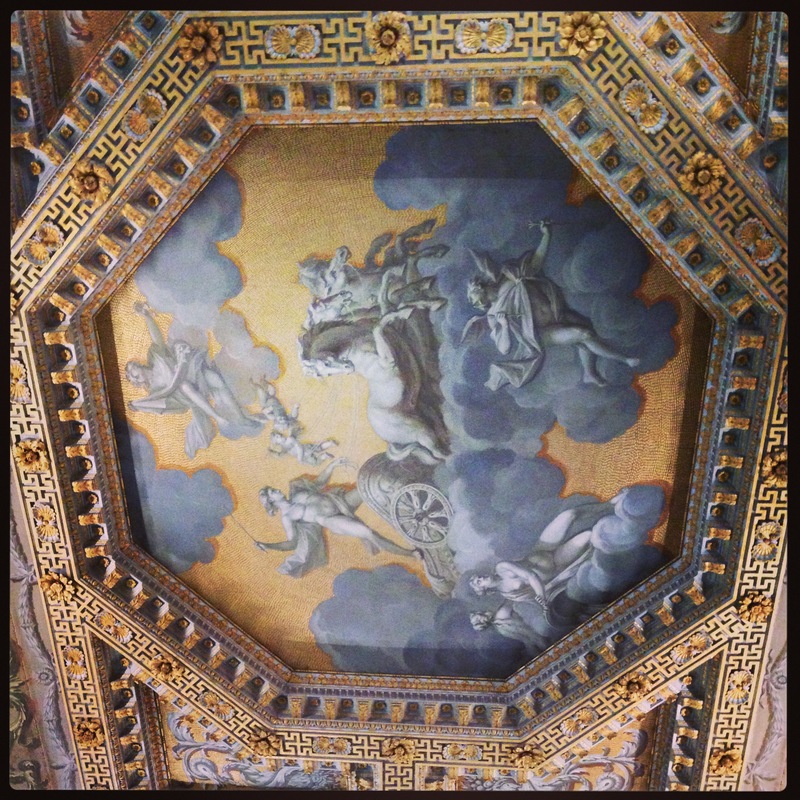 I spent a lot of time not only looking at the art hanging on the walls but looking up at the ceilings. While early estimates anticipated 30-40,000 visitors, attendance has nearly surpassed 100,000 and will likely top 150,000 thanks to the 24 November extension by overwhelming popular demand. 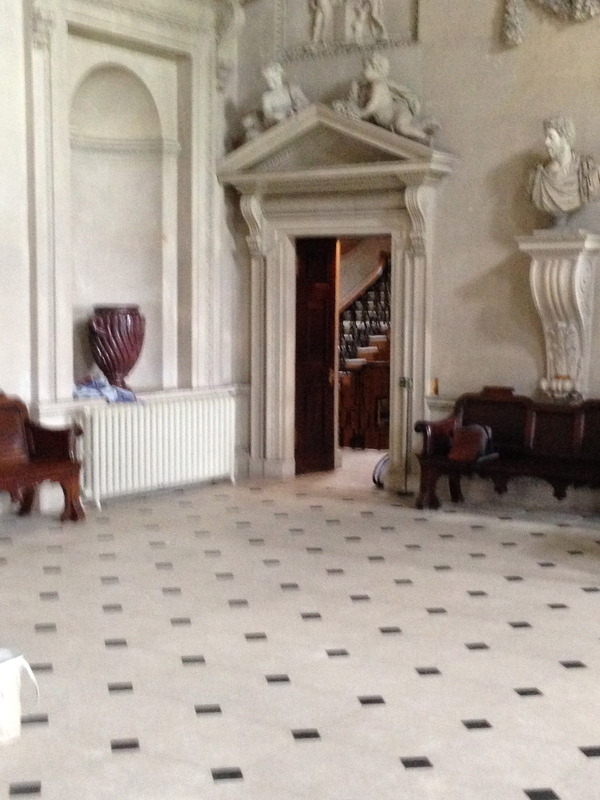 A visit to Houghton Hall is well worth a day out of London. Book your tickets before November 24th.